This might be the only place on the entire California coast where you can take your vehicle on the sand. Drive on the beach! Open dispersed camping is available along Oceano Beach. Watch the high tide line and set camp well beyond that mark. A typical weekend is busy year round. Sand rails, quads, the beefy family SUV, or the ‘garage queen’ trucks. With all these motorized toys, you’re thinking either – yeah, or no way. Option B is listed below. 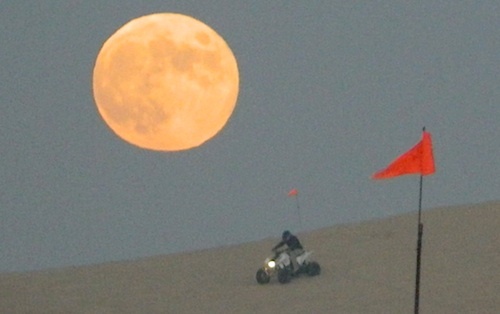 Off-Road playground, Oceano Park is also referred to as Pismo Dunes. San Luis Obispo: SLO is north of Pismo a few miles. North of Avila Hot Springs. 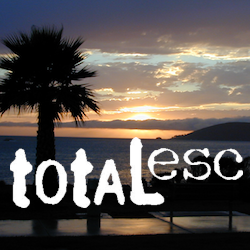 Other amazing parks include – Montana de Oro & Morro Bay. Oceano State Vehicle Recreation Area has open camping on the beach, with a toilet within walking distance. No tables, no fire rings or paved anything! This is where all the big boys with the big toys like to hang out. Toy box trailers, bon fires, crowds & exhaust fumes. This crew can be seen each weekend driving Hwy 166, over to Bako. 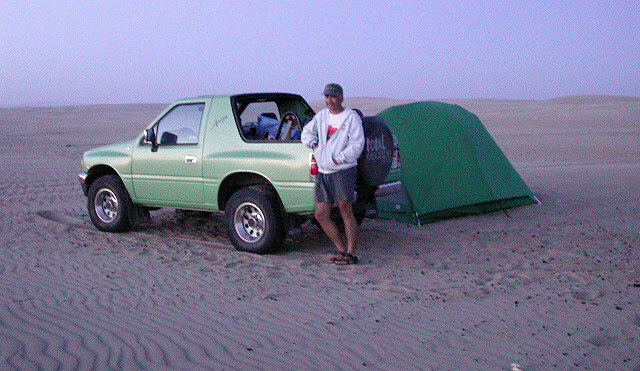 a large 82 site coastal campground is better suited for RVers & tourists wanting to avoid dune buggies. Horseback riding, beach, bike trails, laundry, market, shops & restaurants all close by. 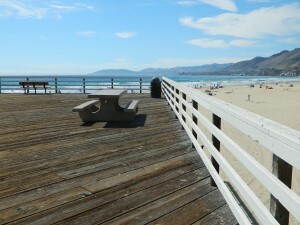 State Park Campground within walking distance to downtown Pismo & the Pismo pier.